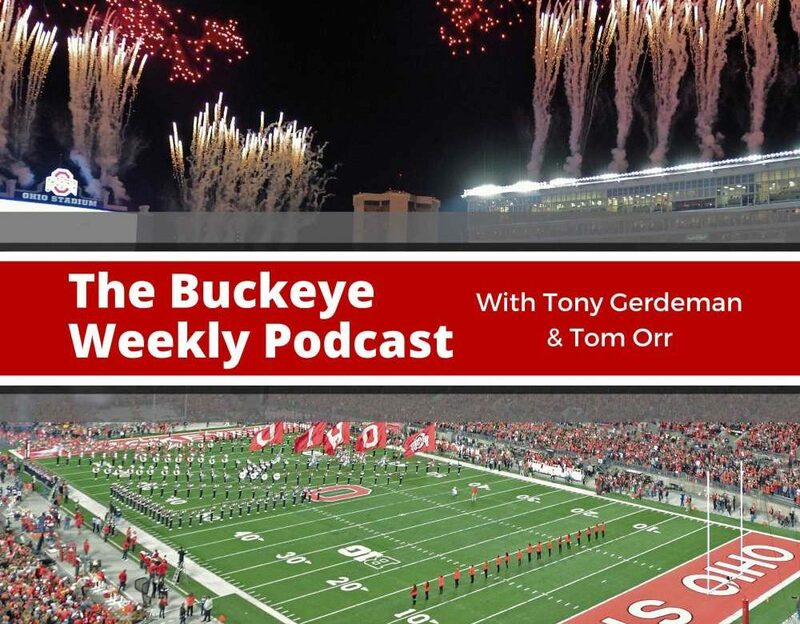 In this episode, Tony Gerdeman and Tom Orr talk about Justin Fields being cleared to play in 2019. What should be expected of the 2019 Ohio State offense? The fellas then talk about scholarship numbers before delving into Ryan Day’s increased attention on Ohio recruiting. The show then turns towards some disturbing comments from one of the Buckeyes’ new assistants. A slew of listener questions wraps the show. + Justin Fields is declared immediately eligible. + Did it need to be a Friday news dump? + Two Heismans this year for Fields? + Let’s not speak Tate’s name any more, please. + How much can they put on Fields this year? + Is an 80% Fields offense better than a 100% Baldwin offense? + It will come down to who moves the ball the best. + Ryan Day is pretty good at his job, so he should have somebody ready. + Expectations for the quarterbacks this year. + Going from simple to complicated. + Simplifying things on offense isn’t a bad thing with execution and skill. + The offensive line will be better than they were a year ago. + There is no way the running game can be as bad as it was last year. + Kevin Woidke is awarded a scholarship, which means somebody else is transferring out. + The writing will be on the wall for several players after spring. + Ryan Day is being more aggressive in Ohio recruiting, already throwing offers to 2021 Ohioans. + The least they could do is offer Mike Doss’ little brother. + Lorenzo Styles Jr. is also one to watch in 2021. + Ryan Day is willing to jump the fence if they aren’t entirely sure they want an Ohio player. + Being more aggressive on the offensive line in Ohio. + What if Ohio State just always made sure to sign the top three offensive linemen in Ohio? + Greg Mattison questions why Ohio State takes the Michigan rivalry so seriously. + Better not let Mattison give any speeches before The Game. + Mattison is in for a culture shock. + Ohio State is more focused on Michigan than Michigan is. + Is Ohio State a witch? + Is Matthew Baldwin a threat to win the job and is he being overlooked? + Could the AAF affect college football down the road? + Talking about Michigan’s new #SpeedInSpace hashtag. + What kind of difference is there in intensity between Urban Meyer’s Ohio State and Ryan Day’s? + If Ohio State wins a B1G title, will Ryan Day win the B1G Coach of the Year award? + Do B1G refs discourage aggressive play? + Which freshmen are we most looking forward to seeing this season. + Which Buckeye football player would be the most welcome addition to Chris Holtmann’s team? + Why wasn’t Larry Johnson promoted to defensive coordinator.